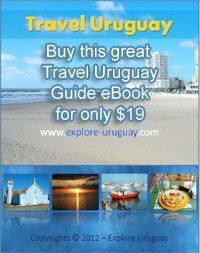 Montoya Beach in Uruguay is becoming one of the favored vacation destinations for tourists who come to visit the Uruguay capital city of Montevideo or the well known seaside resorts in Punta del Este. The extensive coastal region presents tourists with a wide variety of wonderful beach experiences, and among these some of the most popular are Bikini Beach, Mansa and Solonas Beach. The national language of this South American nation is Spanish and you will hear this language spoken much more frequently than any other. There are some people of Uruguay who speak other languages such as English, French and German but you should not expect to hear a great deal of these languages being used if you venture away from the major tourist districts. Spanish is not a difficult language to speak and understand and you might discover that during your Uruguay Beach vacation you are able to learn quite a bit of this popular language. If you are going to be traveling in the nation's port city of Montevideo you should prepare for at least one full day of sightseeing. This capital city is relatively small and compact which means that even if you are only enjoying a weekend getaway you can still explore this beautiful beach in Uruguay one day and go for a tour of Montevideo the next. Whenever you explore Montevideo Uruguay you should make sure that the visit includes a walk along the main boulevard, 18 de Julio, where you can find a museum as well as a variety of shops, vendors, restaurants and sidewalk cafes to enjoy. Local handcrafts, leather goods and handmade jewelry are always quite popular and you will be sure to find an anklet or necklace that you will want to wear as you lounge on the white sands of this amazing beach in Uruguay. While most visitors who were coming to Montoya Beach in the past were usually from neighboring South American countries today a number of tourists are from the UK, Spain, Canada and the US. All of these guests are attracted by the casually elegant atmosphere, beautiful weather and variety of outdoor water sports that this area offers. Gambling is legal in Punta del Este and many tourists who have spent the daylight hours swimming, sailing or sunbathing on the white, sandy shores of Montoya Beach will often go to one of the nearby casinos during the evening. These establishments open their doors during the late afternoon and remain open all through the night. There are also a number of nightclubs and restaurants that you can enjoy. Punta del Este features a number of hotels for tourists who come to Montoya Beach. You can find budget priced hotels and hostels available as well as upscale resorts that offer every possible convenience and amenity. There are also a number of private villas, apartments and homes that can be rented, and many of these accommodations are located only steps from your favorite beach.